"A batsman's chances of top scoring are directly correlated to where he bats. As we all know it is far easier for an opener to outscore his team-mates than a No 5 or 6"
Jos Buttler will open for England in Birmingham. It's a smart move and one which most bettors would have wished they had seen coming. Before the switch was announced Buttler was 7/2 for top England runscorer honours with Betfair Sportsbook. He's now 5/2. Of course if we take the whole of his international Twenty20 career the 5/2 can be easily dismissed as an absolute stinker of a price. He should be 4/1 considering the number of times he cops. But as ever that is only half the story. A batsman's chances of top scoring are directly correlated to where he bats. As we all know it is far easier for an opener to outscore his team-mates than a No 5 or 6. That's because the opener gets the opportunity to bat for longest and has the potential for easier runs in the powerplay overs when the field is up. Child's play really. It is at No 5 and No 6 where Buttler has spent the majority of his career. He batted at No 5 23 times and No 6 20 times. More often than not he was value in the middle-order because 5/1 would be available. In his one outing as opener Buttler made 73 not out against Sri Lanka at Southampton in 2016. Makes you wonder why he hasn't opened since. 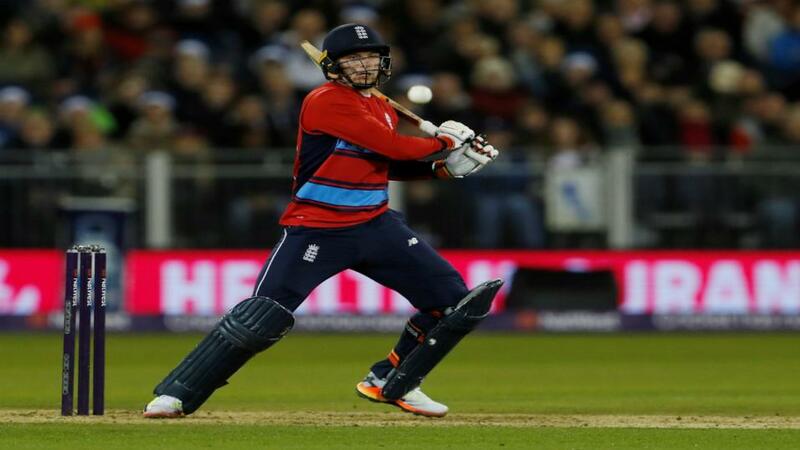 Buttler could make the position his own in Birmingham if his form in the Indian Premier League is anything to go by. Like England, his Rajasthan Royals franchise saw him as a finisher in the middle order. Someone to finish off run chases or provide the fuel for a late assault on a whopping total batting first. It wasn't working out. Buttler was having a terrible tournament and so were Rajasthan. Indeed, he was struggling so badly that his franchise career seemed to be on the brink. Then the Royals decided to risk him as an opener. Rajasthan and Buttler did not look back. He hit five consecutive fifties out of six matches as opener. And he top scored in all of them. Rajasthan, inspired, were able to qualify for the play-offs as a result. It was an extraordinary turnaround for Buttler. But then his career has often been like that. He was recalled to the England Test team, just when it looked like his chance of long-form cricket was over, off the back of that spell. And right at the start of his career there were some in the England set up who believed his inability to cope with expectation would see him fall short. In hindsight, he was just too young to deal with the pressure of folks expecting him to finish with strike rates in the 130s every time. These days he doesn't seem to feel pressure. He was nerveless in hauling England back from defeat in the final ODI against Australia at Durham. Ordinarily it would have gone down as a stunning upset but nothing Buttler does surprises anymore. Against the Aussies Buttler's form was sensational. His three high scores of 110 not out, 91 not out and 54 not out suggest on their own the 5/2 is value. Betfair Sportsbook will also see plenty of interest in the 4/5 that he scores over 23.5 runs. We're on.